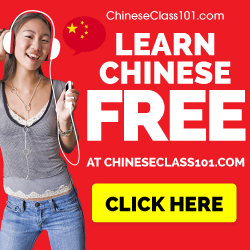 When we set out to learn Chinese, everything we learn is new and we can feel that we improve for each day that goes by, for each time we are exposed to the language. We know this because, in relative terms, we’re learning so much. However, as we gradually advance beyond the basic level and enter the intermediate and advanced stages, this feeling is inexorably weakening and finally all but disappears. This is a problem, because if we don’t feel that the effort we invest pays off what will then prompt and motivate us to continue learning? Even though there might be satisfying answers to that question, in this post I will argue that we needn’t even ask the question in the first place if we pay more attention to our progress. I suggest using benchmarking, not to compare ourselves to other learners, but to compare with ourselves at different stages of learning. It is usually quite easy to know that we have indeed made progress if we compare our language proficiency now with that of the past. The first thing we need to do is record our current level in the areas we are interested in. Measuring language ability is notoriously difficult, but as long as we keep the parameters as constant as possible, that will be good enough for our purposes. Basically, we will device a way to describe our own ability as best as we can. Then, in a month or a year, we can compare and see if there is any difference. By doing so, we will see that we improve and we will get solid proof that we are indeed still moving, even though it might sometimes feel that we aren’t. Naturally, we might stop moving if we don’t study, but that goes beyond the scope of this article. Even though this isn’t a scientific undertaking, a scientific approach is essential. For instance, we need to keep the variables to a minimum and make sure that our own ability is the major deciding factor. This means that if we measure reading speed, we should use a text with the same level of difficulty and belonging to the same genre. 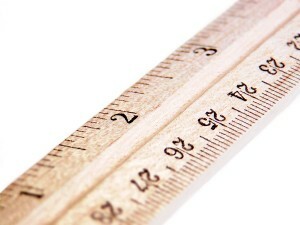 When we check our current level, we need to make sure to also note how we performed the benchmarking. If we’re going to do this again in six months, it’s likely that we will forget some important parts which make the comparison unfair. As we will see, benchmarking isn’t straightforward in all cases and requires some further illumination and helpful examples. We’ll start out with the easier kinds of benchmarking (reading and listening) and then move on to more tricky areas (writing and speaking). Again, since the possible variations are almost limitless, we should examine our goals for learning Chinese, and pick a few that seem the most relevant. Benchmarking is not meant to assess language ability fully accurately, but rather to give us a general idea of where we are. Again, make sure to detail how you perform the benchmarking for future reference. Leaving the more passive realm of listening and reading, it becomes a bit more difficult to benchmark, partly because we cannot or should not rely entirely on ourselves to do the evaluation. Still, writing is in its very nature something permanent that can be accessed at any time. There are many ways to benchmark writing, but I recommend starting a blog in Chinese. Using a blog, we can have all written Chinese concentrated in one location, easily accessible both to you and others (you will have to share what you write anyway if you want people to comment on what you have written). Exposing your own writing might feel a bit anxious in the beginning, but as I’ve stated elsewhere, be brave and remember that genuine mistakes aren’t necessarily bad. When it comes to comparing texts, there is a certain amount of work that we can and should do on our own. The obvious thing is of course to compare the level of the texts themselves. Don’t forget to take the circumstances into account here; it’s grossly unfair to compare a polished texts you’ve written with the help of a dictionary and that has been corrected by you teacher, and a text that you’ve written in five minutes by hand without having access to any help. Since we want to keep the number of variables to a minimum, it’s strongly suggested that you use the same native speaker (or more than one, if you can). Remember that writing is easy to store, so you can simply select texts you want to compare and send to someone for comparison. You don’t even need to tell them you’ve written all the texts yourself, just ask them to do an honest comparison focused on language. It’s now time to turn to the fourth and by far the hardest of the four areas we want to benchmark: speaking. As opposed to writing, speaking is in nature evanescent and we need quite advanced technology to record it. This is essential, because there is otherwise no way we can make honest comparisons. Sure, we can meet a native speaker, talk to him or her, wait a year and then do the same thing. This will yield some results, but will it be enough? Does the native speaker remember how you talked a year ago? He or she probably remembers the feeling of speaking with us, but that’s only half of what we want. Actually, you can start a blog for this as well, doing a podcast or a video diary or something like that, but some people may find this a bit too exhibitionistic (add a password). The important thing is that we keep our recordings for later. As is the case for writing, we can compare our own recordings, even though that will probably not be enough in itself. Benchmarking speaking is difficult not only because it involves technology, but also because most people find it unnerving to listen to their own voice. You have to get used to that and you will if you only allow yourself to try. You voice only sounds weird to you the first couple of time. Again, be brave. You don’t need to publish your recordings if you don’t want to, but recording yourself in some way is essential. It’s essential that you organise your benchmarking files and keep things tidy. If you’re going to compare texts or recordings that are months or even years apart, you’re going to need a neat structure that allows you to find the files later on. If you think that this sounds like too much work, remember that all the listening, reading, writing and speaking you’re doing is as good practise as anything else. 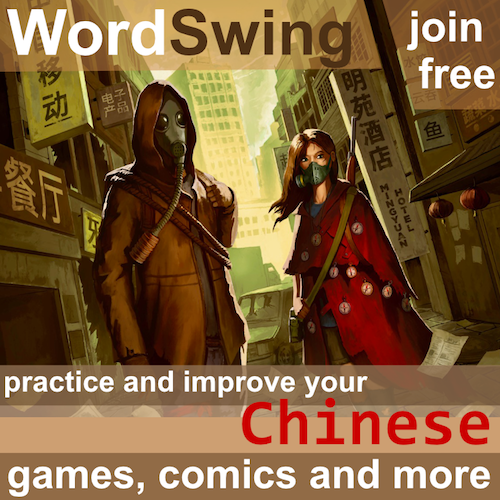 To assess the extent of your vocabulary, do you know Active Chinese? 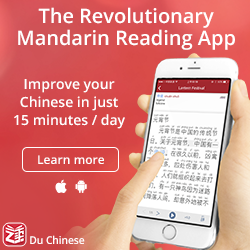 It is a nice tool that quizzes you about Chinese characters and, based on your right/wrong answers, assesses the approximate number of characters that you master. I’ve heard of it, but never used it. Since I store most of the characters/words I learn, I can see fairly accurately how many characters/words I know. However, I realise that most people don’t do that, so thanks for providing the link! I completelly agree, benchmarking is a great idea to keep yourself motivated. You hit on something essential here, I think. Part of the reason why I (and many others) like SRS is that it’s easy to measure progress. We can easily see that we’re getting somewhere, because we can see the numbers of words and characters we know grow. This is great. Still, however useful it may be, SRS can only measure a very small fraction of what we want to learn. What about fluency, listening ability, meta knowledge and grammar? These are the difficult areas. Pingback: Take Care Of Yourself, Pal! What do you think of the ‘official’ benchmarks i.e. 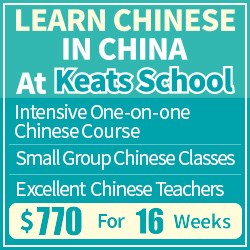 the HSK levels and tests? I have been using ‘Memrise’ app on iPad with HSK level 1 flashcard set, it is definitely helping. Do you think there is value in actually going to sit the official test? Yes, sure. The only problem is that you don’t really get to see exactly what you did right/wrong. Of course, a test score is not a perfect indicator of actual ability, but then again, nothing is.